Nine months ago, I met Akouvi. 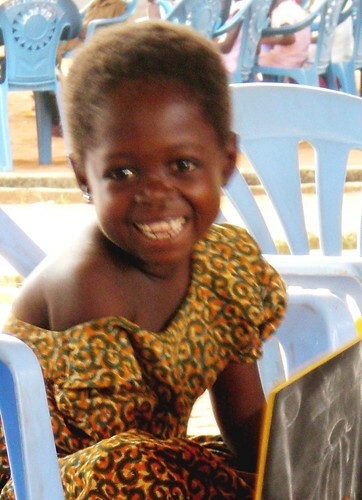 When I walked into the hot, dusty church in Togo, my eyes found her. As if they had always been looking for her. She was petite, much smaller than the rest of the children in her group. Her brightly colored dress was too large, and one sleeve constantly slipped off of her shoulder. I’ve tried to identify what it was about her. She had such serious eyes. Eyes that had seen too much. But her smile. I couldn’t get over it. I made silly faces at her, trying to draw out a grin. And when she rewarded me with one—I literally felt like my heart got bigger, more full. When I arrived back to my office the next week, I poured over pictures of the children from that project, looking for those eyes. And when I found her, saw that she wasn’t sponsored, I knew what I had to do. I was on the phone with a Compassion representative in seconds. I didn’t check my bank account or my budget. I just knew I had to sponsor her. In my first letter, I told her that I had met her, and asked her if she remembered me. She did. I’m sure that dusty little church hadn’t seen many white visitors. I sent her pictures of snowy Colorado, and she drew me pictures of mangoes and crooked houses. I can’t explain how one comes to love a child who they hardly know. But I can say that I felt like Akouvi was part of my family. I loved her. And so often in her letters, she told me that she loved me too. I don’t think I understood the depth of my love for her until February 23. That’s the day that I found out Akouvi had died. That’s the day I felt like something had cracked open inside of me, filling me with red-hot grief. Sadness that burned so fiercely that even my tears could not extinguish it. Eight-year-old little girls are not supposed to die. They are supposed to play with their friends and sing silly songs. They are not supposed to be carried away from the hospital by their grieving family to the village cemetery. I don’t know what grieving Akouvi should look like. I can’t go to her funeral, or carry a casserole to her home. I can’t hug her mother, or comfort her sister. All I can do is cling to the hope that she is in a better place. Believe that in her final days, she was surrounded by people who loved her. People who had done absolutely everything in their power to save her. Believe that she passed from this world, immediately into the arms of her Father. That poverty and sickness are not even memories for her anymore. I know Akouvi is healed and whole now. I am so incredibly blessed that she was part of my life for 9 months. But the reality that we live in a fallen world, where little girls die, is heavy on my heart right now. Akouvi, you are missed. Keep smiling sweet girl. And I will try to smile with you. Do I have the “write” stuff? I am so sorry. What a precious little girl. Praying for you and her family. Brandy, I am so sad hearing this and seeing the face of such a beautiful little girl. I too will be praying for you and her family. Brandy, my heart breaks for you, but it rejoices with Akouvi, who is healed, whole and happier than ever. Praying for you and for her family. That’s horrible. You’re so right. Children aren’t supposed to die. I grieve with you. I am so sorry for your loss. Words cannot even express. But know that you have blessed her life and the lives of those that she touched. I can’t wait to witness your reunion, when we all get to Heaven! I can see why those eyes were so captivating! My heart breaks for your loss. I can’t imagine losing one of my sponsor-kids. I hope that you can remember that you were in her life for a reason and that you were meant to be her sponsor. You were exactly what she needed in those 9 months. The tribute that you wrote is a beautiful way to honor her. My heart is broken and this makes me “hold” my sponsored children even tighter. Thank you for sharing from your heart. Her life made a difference. I came across your blog through a Compassion link. We sponsor a little girl. The thought never occurred to me that I could lose her. I don’t know how I would deal with that. What a beautiful girl Akouvi is. So sorry to hear this news, Brandy, but very glad you got the time you did with her and have such wonderful memories of meeting her. 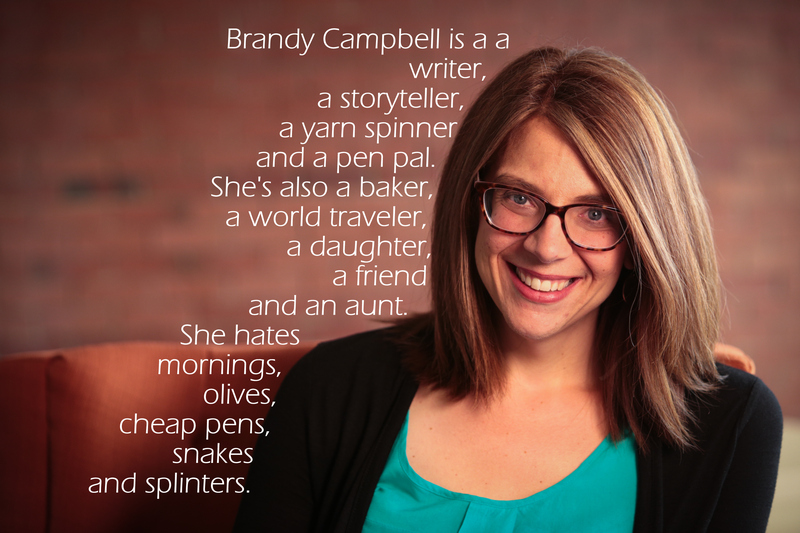 I’m so sorry, Brandy. No words that come to mind can do justice to the hole in your heart, just now. 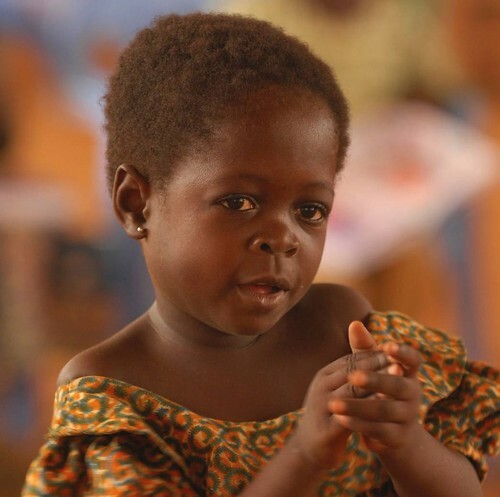 I pray that your love for Akouvi and for other children in poverty will help you to fill that hole. Oh, my heart is breaking for you and Akouvi’s family. What a blessing from our Lord that He gave you eyes to see her while you were there. You were able to touch her life in such a mighty way in a short period of time. Now she is being held by Jesus…no more sadness and no more pain…. *HUG* Oh, I understand….do I ever. God through Christ died for our sins so that we could have eternal life in Him and with Him! There is hope! Jesus overcame the world! He freed us from the penalty of sin, he’s freeing us from the power of sin now, and he will free us from sin and death all together when He comes again!! Trust in Him! His mighty Hand is over you! He is our Rock! Trust in Him to comfort you! God put you in her life for a reason! I grieve with you, but I also believe that Akouvi is with the Lord, she was too young to see all she saw, the Lord knows best. She will be in our hearts for a long long time. We will pray for her family too. With everything that has been going on over the past several weeks it took me a little while to gather the courage to read this post. I know how deeply your heart was touched by this precious little girl and I grieve with you for her loss. God brought the two of you together for a reason and you made Akouvi’s world a better place for the time that you were her sponsor. Thank you for sharing her with us. I know you will see her again and worship our heavenly Father side by side and hand in hand. How very sad. and lonely. I felt that our sweet boy was probably dead in Haiti, but he is alive. My heart hurts for your loss. Truly, our sponsored children are those that God gave for us to love and cherish. I know you will go forward…I hope all your memories are the ones that make you smile with true joy. Take care and know that you are never alone in your grief. Sorry for your loss, but rejoice! Akouvi is now in Jesus care! One blessed day you will see her again. I am praying for you. Brandy, I am just so sorry to read this. You will be in my prayers, and her family as well.